Here lieth the immortal remains of the Hive World Terra Forums. In January 2001 were they born, on 20th March 2001 were they moved unto a self-hosted system and almost 14 years later, on 18th March 2015, was the forum put out of its lingering death and the archiving process begun. At 14 years to the minute since the registration of my Administrator account, this page was completed and the archiving process was done. 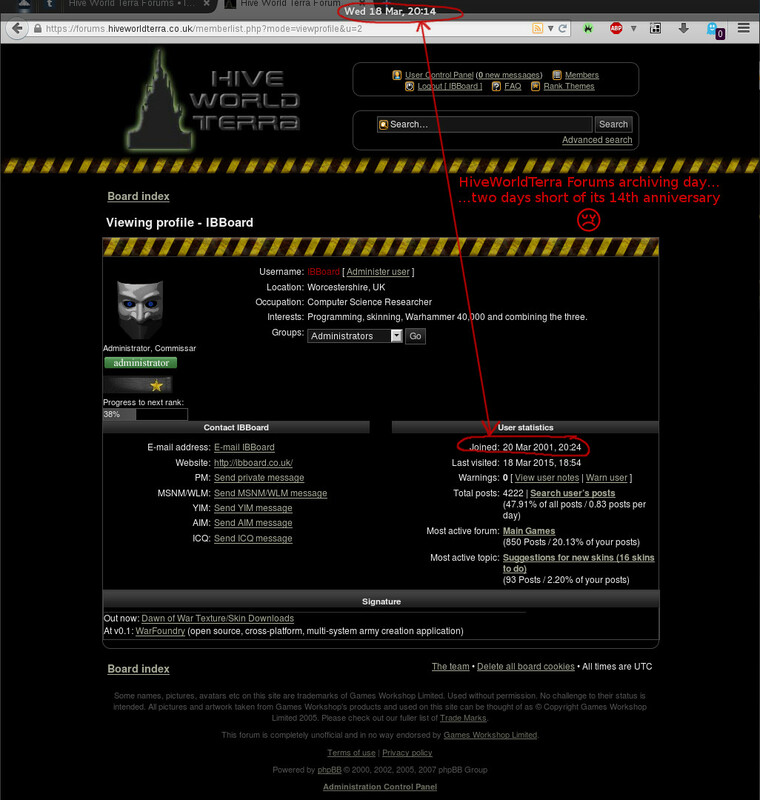 So long, HWT Forums, I knew thee well.